When thinking of a budget destination, Tokyo, Japan might be the last place that comes to mind. From expensive hotels to the world’s most expensive ramen, it’s hard to find a good deal in Tokyo. When visiting Tokyo, most tourists go and see the temples and shops of the city, and then want to get above the skyscrapers and see what the city looks like from above. Fortunately, there are several places to do this, all of which offer fantastic views of the city. The problem though is that several of these viewing locations are quite expensive: up to 1,400 Yen. There is an alternative however: The Tokyo Metropolitan Government Office Building. Since it is the tallest building in all of Tokyo, it stands to reason that the building would feature a stellar observation deck, and it doesn’t disappoint. 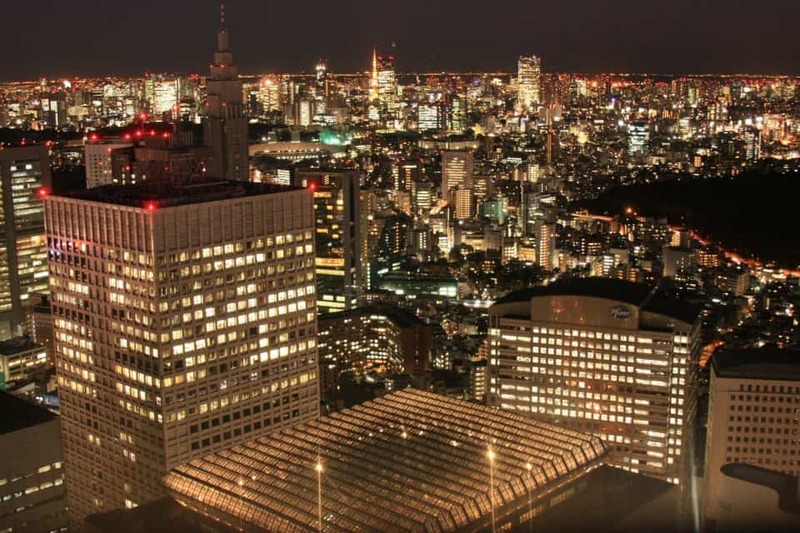 Sitting on the 44th floor of each tower, the observation areas at the Tokyo Metropolitan Government Office Building is an excellent choice, even if you aren’t on a budget. However, for those on a budget, the price can’t be beat. That’s right, don’t waste, $10, $15, or even $20 to view Tokyo from above. The observation deck at the Tokyo Metropolitan Government Building is completely free! FREE!!! I found it hard to believe myself, but the tower’s observation deck is very well done. With spacious, clean windows and a dark interior to help the scores of budding photographers capture the beauty below. The tower’s are situated in the western half of the city, just steps from Tochomae Station. Rising above everything else in the area, you can see sky scrappers and parks from the observation deck. However, most tourists seemed to concentrate on the fantastic view of Mount Fuji which is visible on clear days. As with most observation towers, try to arrive a bit before sunset, to see the city before and after dark. At least one of the two towers is open everyday, and once a week one of the towers is open late to help you capture the city after dark. This may be a less dignified method of viewing Tokyo’s skyline, but the Royal Park Hotel in Shiodome may provide good views of the Tokyo Tower and Mt. Fuji, in addition to nearly interminable views of roofs. Other hotels in the area may be similar, but I mention them because their lobby is of the sky lobby variety. OTOH, Tochou (the building discussed in this article) offers views of the SkyTree and the Tokyo Tower in one shot, and if you’re a bit more of a Tokyo old-hat, the Nakano Broadway area.